According to the World Health Organization estimates, air pollution exposure is an invisible hazard responsible for several million premature deaths every year in the world. It is also the cause of around 200,000 cases of lung cancer, reports BBC. The revolution in mobile technology along with applications offers many ways to help people for improving their quality of life. 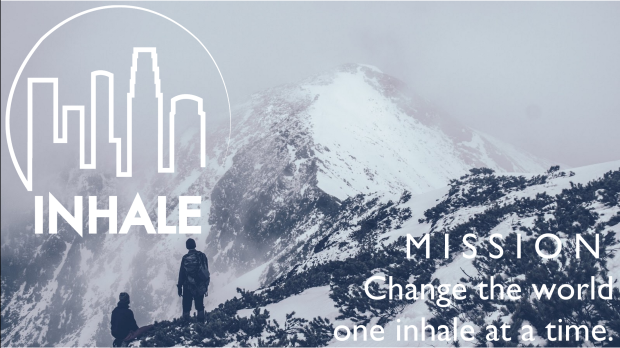 To safeguard people by detecting the surrounding air quality, a smartphone based sensor ‘Inhale’ is invented by Fredrik Krafft that allows you to learn about the air around you and helps you organize your day in a safer way! 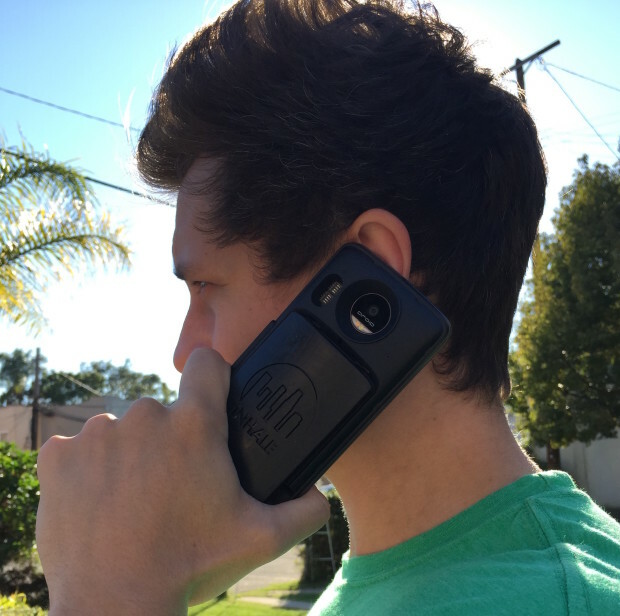 It's made to fit on the back of a Moto Z phone or any other smartphone. The sensor provides real-time environmental data information and you will always know when it is safe for going out. 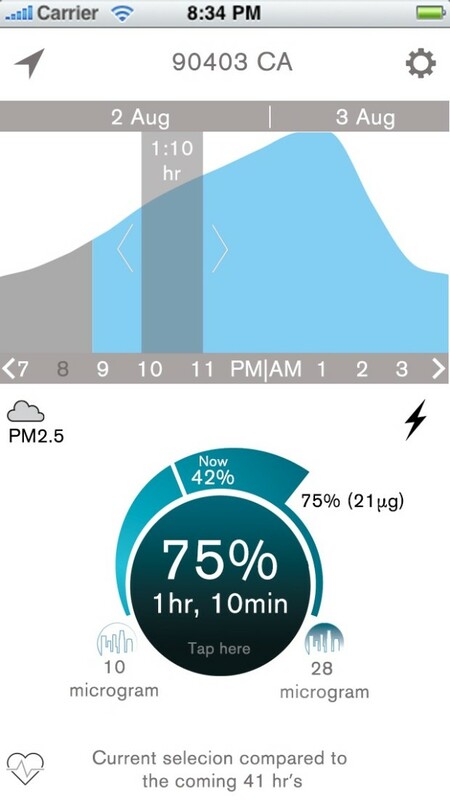 It measures PM 2.5, Pollen, Ozone, CO2, Humidity, Temperature and other air pollutants from the governmental organizations to prepare the detailed air quality maps. Fredrik got inspiration for developing this device when he was on a run around the University of Southern California campus. He felt the debilitating respiratory effects due to air pollution and decided to invent a device that keeps people away from the environmental pollution. Using the power of the smartphone the sensor sends the data to their software which synthesizes down into metrics that are comprehensive and simple. The sensor is powered by the power from the smartphone and the app will be available for download from the App Store soon. The internal sensors of Inhale track the environment whole day and recommend the changes of user behavior for improving their quality of life! Asthma or allergies patients could be greatly benefited by this innovative medical device which helps in managing the health condition and selecting the right environment for them. 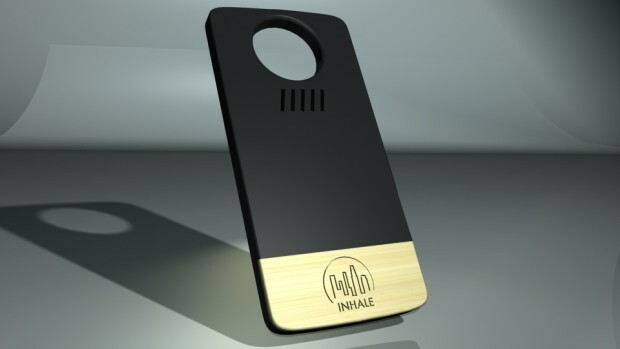 The Bluetooth enabled Inhale that send and share data to your smartphone to any iOS or Android app.